Yes, I know, in this Netflix binge-watching mobile device world, a book can seem a little old-school. But if you, like me, still like to read – in public or otherwise – grab one of these the next time you find yourself at Barnes and Nobles or your local library. They will have an impact on the way you teach. They did for me! 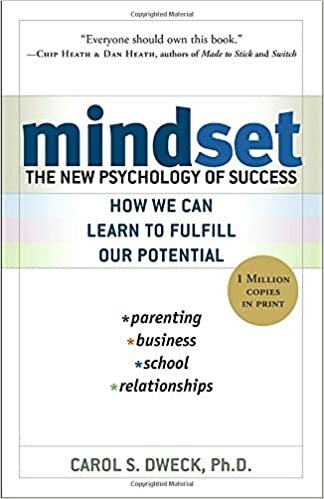 Mindset: the new psychology of winning by Carol Dweck. Carol explores a phenomena that grabbed her when she was conducting studies at Harvard: why some students quit when faced with a difficult challenge while others persevere and succeed. If you are pressed for time (I get it, you teach) just read the first 5 chapters and you will get the meat of the concept. It’s truly worth it – this book has impacted my teaching and my personal life! 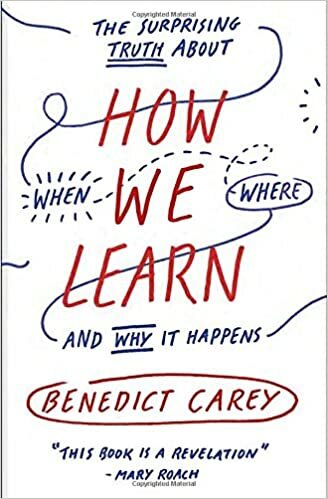 How We Learn: The Surprising Truth About When, Where, and Why It Happens by Benedict Carey. So apparently some of the rules I imposed on my children while growing up may not have helped that much. “Have your quiet work space, work first then play, don’t listen to music while studying..”. Benedict turns a lot of these on their head and then shows ways that actually work – based on research. A very interesting and easy read. You are guaranteed to come away with a new learning tactic and a way to help your students learn to learn. 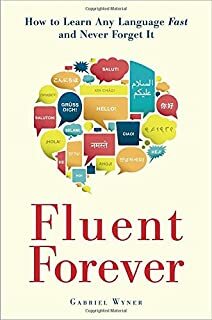 luent forever: how to learn any language fast and never forget it by Gabriel Wyner. I know, it sounds like the Shamwow commercial. I can vouch that it won’t sell you an overnight cure but rather give you hope and also some very good tactics to tackle that language you’ve always wanted to speak. Do you teach a foreign language? Read it! Do you want to learn one? Then read it! It has changed my own beliefs about learning a language and I now use several of the techniques with my own students. TIPS FOR USING YOUTUBE as an Awesome resource!